Asia Argento and Michael Madsen in BOARDING GATE, a Magnet Releasing film. Photo courtesy of Magnet Releasing. Asia Argento in BOARDING GATE, a Magnet Releasing film. Photo courtesy of Magnet Releasing. 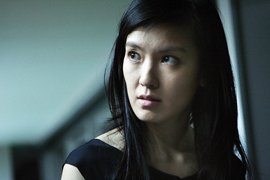 Kelly Lin in BOARDING GATE, a Magnet Releasing film. Photo courtesy of Magnet Releasing. Kim Gordon in BOARDING GATE, a Magnet Releasing film. Photo courtesy of Magnet Releasing. Michael Madsen in BOARDING GATE, a Magnet Releasing film. Photo courtesy of Magnet Releasing. 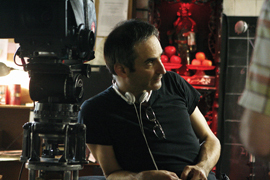 Olivier Assayas, director of BOARDING GATE, a Magnet Releasing film. Photo courtesy of Magnet Releasing.